According to a recent study, Urban Outfitters and Hot Topic are among millennials’ fave shopping destinations, and the reason is all to do with nostalgia. According to a report by Cambridge Analytical and published by Women’s Wear Daily, out of a survey of 220 million consumers of where they’d shopped in the last six month, both Urban Outfitters and Hot Topic came out top among millennials. According to the statistics, of those people who had shopped at Urban Outfitters, 23 per cent were millennials, while 17 per cent of shoppers at Hot Topic fit the same age bracket. The news comes after retailer Bebe announced that it was closing all of its stores to avoid filling for bankruptcy. The fashion outlet is just one of many beloved stores that are closing its doors, with the likes of Wet Seal and J.C. Penney also announcing closures. 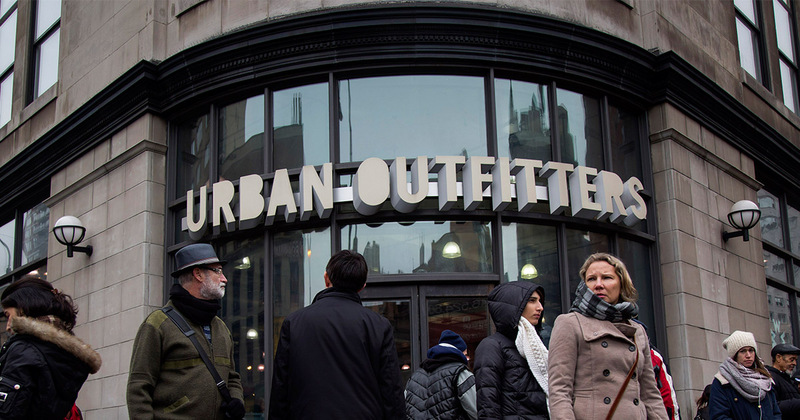 So why are so many young people flocking to Urban Outfitters and Hot Topic? Well, according to a report by Fashionista, it’s all got to do with nostalgia. They claim that #throwback capsule collections, like this one by Juicy Couture, have tapped into millennials love of all things from their childhood. As Teen Vogue point out, Urban Outfitters has also teamed up with Vans on a collection, and has seen designers like Tommy Hilfiger, Calvin Klein, Wrangler, and sportswear brands like Fila and Umbro have all release limited edition throwback collections for the retailer. Likewise, Hot Topic, Fashionista suggest, is tapping into #throwback collections by the likes of Alexander Wang and Vetements, who seem to be playing up to the recent affinity for all things ’90s. This has also translated outside of fashion, with shows like Gilmore Girls and Will & Grace making a comeback. Likewise, celebs like Gigi Hadid, Justin Bieber, and Beyoncé are all rocking band t-shirts.